SHOTOVER, the developer of high-performance stabilization platforms, announced today the launch of its new M1 gyro-stabilized camera system. Designed primarily for 2K, 4K and 8K live broadcast, the system features fifth-generation technology, and an open platform design to accommodate the world's rapidly changing camera technology. The M1 includes the same industry-leading 6-axis design as the company's K1 and F1 camera systems, delivering unshakable stability with unmatched look down capability. The M1's precision machined ultra-light aircraft aluminum structure allows it to be used on a wide range of aircraft while making it lighter than legacy aerial broadcast systems. The SHOTOVER M1 can also be used on a host of ground vehicles and watercraft and is backed by world-class 24/7 service and support. "The culmination of ten years of research and development, and fresh cutting edge technology, has led to the creation of the M1," said SHOTOVER CEO Brad Hurndell. "We are confident the system will allow our customers to keep up with the demanding requirements of live broadcast for years to come." Helicopters Inc, a leading provider of news gathering helicopters in the United States, operating in more than thirty-five cities nationwide, has become the first company to acquire the M1. "SHOTOVER's customer-centric design approach has resulted in a compact and lightweight product that fits the future needs of the broadcast industry and our company," said Tom Wagner, Vice President of Helicopters Inc. "We look forward to working with SHOTOVER and are excited to put the new M1 to work." 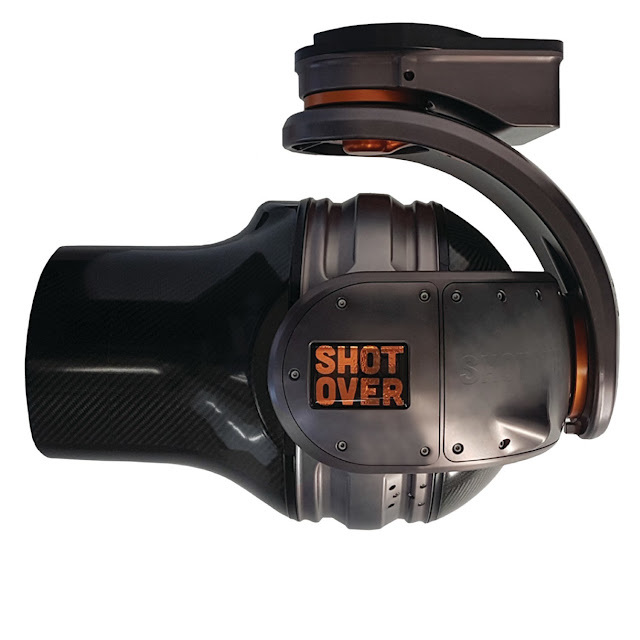 The development of the SHOTOVER M1 builds upon the company's success in designing gyro-stabilized systems for the television and motion pictures industries. The creators of the company's flagship SHOTOVER K1 were recently awarded a Scientific and Engineering Academy Award® for the concept, design, engineering, and implementation of the system. Alongside the latest ENG payload options, the M1 can house a range of popular cinema cameras and lenses such as the Arri Alexa Mini, RED Weapon and Canon 30-300. Other system features and options include an angled front window for brilliant imagery without flares, interfacing to moving map overlays, the ability to ship with payload integrated from the factory, and custom color schemes to match broadcasters branding.